We all get consumed by the demands of our everyday lives and sometimes we forget to stop and enjoy the little things in life. HERSHEY’S is seeking to open the world’s eyes to the everyday joys around us by creating experiences through which people can choose HAPPY! For me, family is what life is all about and what makes me the most happy! Creating special moments with my son and family are what truly makes my heart smile! 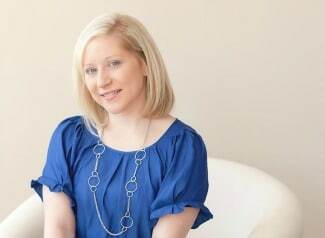 Choosing happiness is something I try to live by everyday! 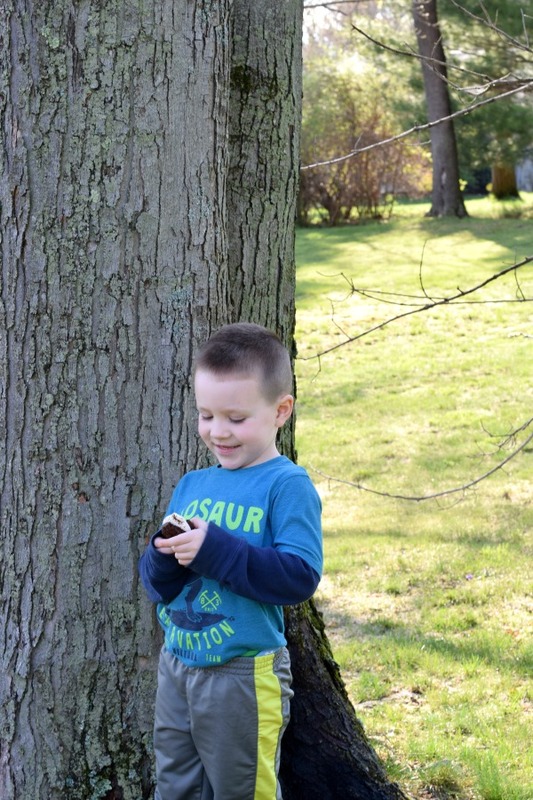 HERSHEY’S is facilitating Hello Happy Moments to show families that they can choose happiness anywhere, at any time – whether it’s that s’more after school, a delicious baked treat shared on a Sunday afternoon or a dance off, families can choose to find happy moments each day. On Take Your Kids to Work Day (April 28), HERSHEY’S will set out to remind people that happiness is a choice and sweeten their day by celebrating “Hello Happy Moments” – the intimate, individual and personal moments of happy that we choose each and every day, which build connections and create memories that last a lifetime – by showing parents ways that they can enjoy fun, and unexpected, happy moments with their children. My little guy LOVES chocolate. He definitely takes after his mama! I work a lot from home, so taking a much-needed snack break with my buddy is just what I need to get through the day! We sprinkled a little bit of happy into our snack break with some HERSHEY’S Milk Chocolate Chips! Since we both love chocolate, we made these delicious Double Chocolate Marshmallow Cookie Sandwiches while we enjoyed some time outside! Chocolate and sunshine … now that makes me HAPPY! Check out the recipe below and enter to win a HERSHEY’S Prize Pack! Stir together flour, cocoa, baking soda and salt. Beat butter, sugar, eggs and vanilla in large bowl until fluffy. Gradually add flour mixture, beating well. Stir in chocolate chips. Drop by rounded teaspoons onto ungreased cookie sheet. Bake 8 to 10 minutes. Remove from oven and let set for 2 minutes on the baking sheet. Do not turn off oven. Transfer to a rack and cool for 2-3 more minutes (until they are cool enough to handle). Flip over half of the cookies and place 1 whole marshmallow on each cookie. Place in the oven and bake for 1-2 minutes or until the marshmallow is soft and gooey. Take out of the oven and press the marshmallow down gently with your fingers. (I do this before placing the cookie on top so it doesn’t crumble). Top with another cookie and serve immediately. Cookies are best served hot. To reheat cookies just place in the microwave for a couple of seconds. What’s your “Hello Happy” Moment?! How do you enjoy HERSHEY’S chocolate? Let us know in the comments below! Now for the fun part! Enter to win a HERSHEY’S Prize Pack! Giveaway is open to U.S. residents 18 and older. because i love hersheys and i’d love to make cupcakes. I have loved Hershey’s since I was a child. My daughter loves Hershey’s too. I would make a batch of chocolate chip cookie bars! I’d love to win a Hershey’s Prize Pack to make my grandchildren happy. I’d make a Chocolate Brownie Trifle. My Hello Happy moment is spending time outside with my kids. I enjoy Hershey’s chocolate with ice cream. I’d like to win because I love chocolate! I would probably make brownies. It’s been a rough month – some sweetness would rock! I would love to make some s’mores cupcakes! I would like to win this because Hershey is my favorite all American brand. Who doesn’t love chocolate. My intention is to make cookies, but in reality I may just eat the chips straight from the bag have have nothing left for my cookies. I would love to make my grandmother’s crazy cake recipe. I want to win as Hershey is the best! 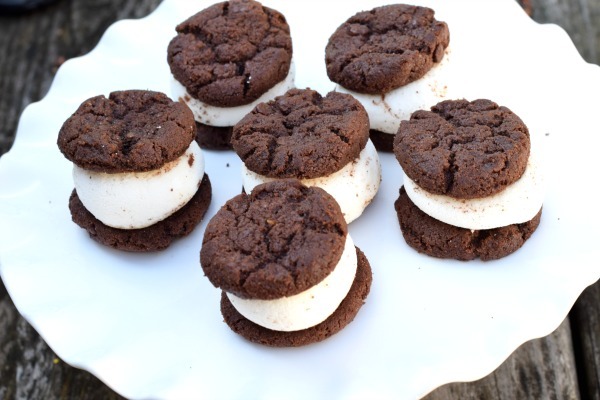 Double Chocolate Marshmallow Cookie Sandwiches is the recipe that I’d make. I would want to make because I love the taste of chocolate. A Hershey prize pack would be perfect for my house full of chocoholics! I would like to make chocolate chip cookies. 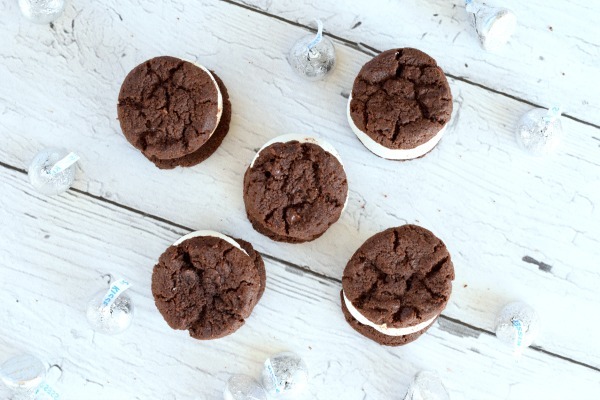 Oh I would love to win and make smores…and your double chocolate marshmallow cookie sandwich! Our little one loves the ones with a cream/marshmallow in the middle and he would go nuts over these! Such a GREAT idea! Cant wait to try them! I think baking with our kids makes such happy moments and precious memories! I would love to win this! 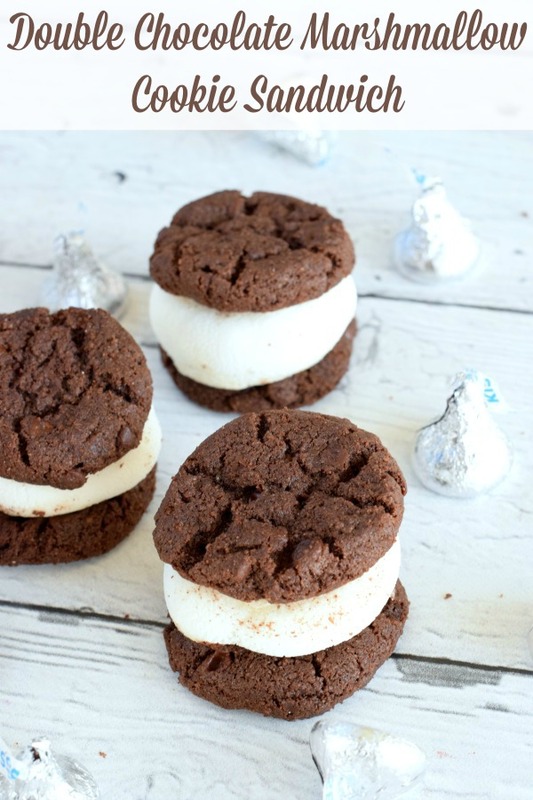 I love Hershey’s and it I think it would be fun to make these marshmallow cookie sandwiches! They look delicious! I would love to give the HERSHEY’S HUGS & KISSES Crescents a try! They look really yummy! My daughter loves to bake and do we’d have fun baking together.